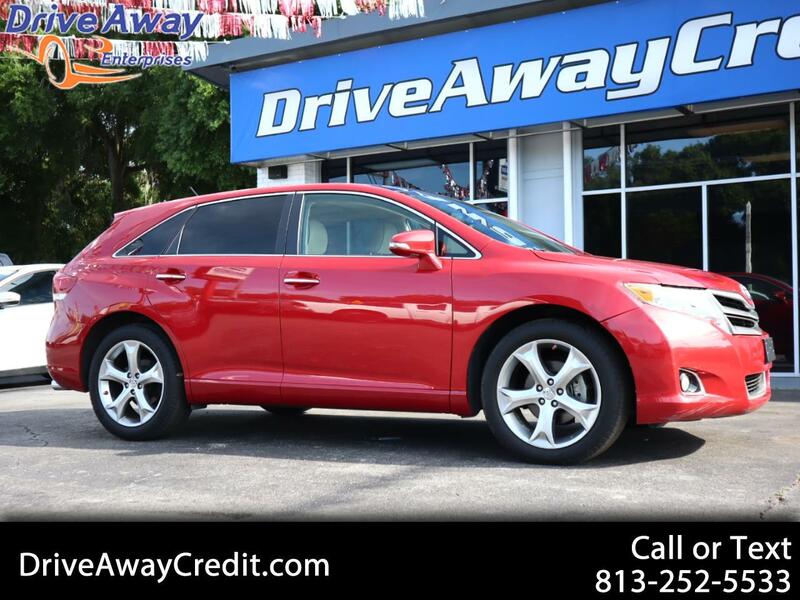 You've found the perfect formula of size, capability and style... our magnificent 2014 Toyota Venza XLE V6 is presented in Barcelona Red Metallic. Motivated by a 3.5 Liter V6 paired with a smooth shifting 6 Speed Automatic transmission. This combination produces 268hp and scores near 26mpg on the open road for a smooth ride that handles beautifully. Our family-friendly Venza XLE V6 has the space you admire in an SUV, with the ease and comfort of a wagon. It's distinguished from others in its class by a graceful low roofline and a thoughtfully designed leather-trimmed interior that has space for five adults. Heated front seats and reclining backseats feel luxurious. You'll enjoy tons of storage, a sunroof, a navigation system, remote keyless entry, and a power liftgate. A large central display with Bluetooth, Entune multimedia and a premium audio system keeps everyone connected and entertained as you coast down the road onto your next adventure.